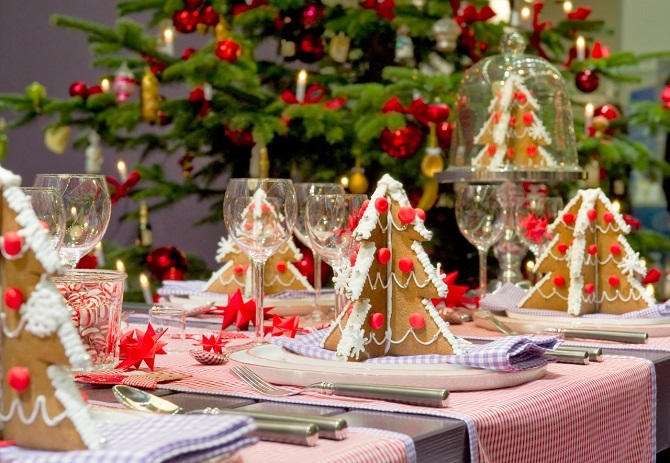 Christmas is all about Celebration, joy and laughter! And some pretty decorations too! 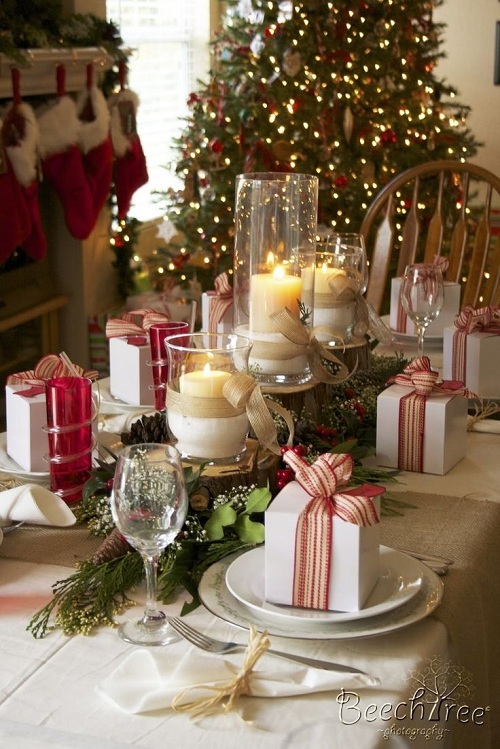 Everybody is looking for some gorgeous ideas to decorate their home this Christmas season. After all, who doesn’t wish to impress their guests? 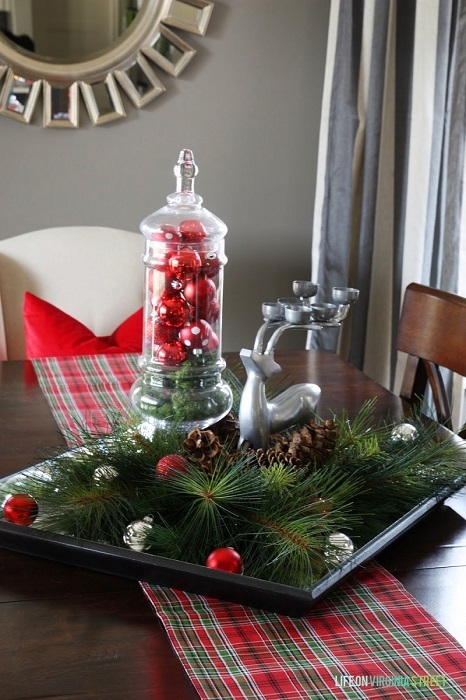 So here we are presenting 20 awesome Christmas Centerpiece ideas for you to try. Iam sure you would wanna try it badly after seeing how creative these ideas are. Check it out! 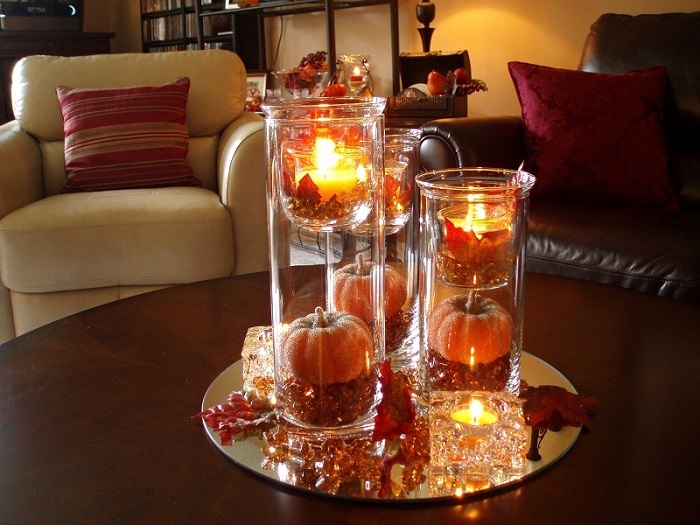 Elegant and Classy, this center piece idea will blow your mind. A perfect setting for the table. 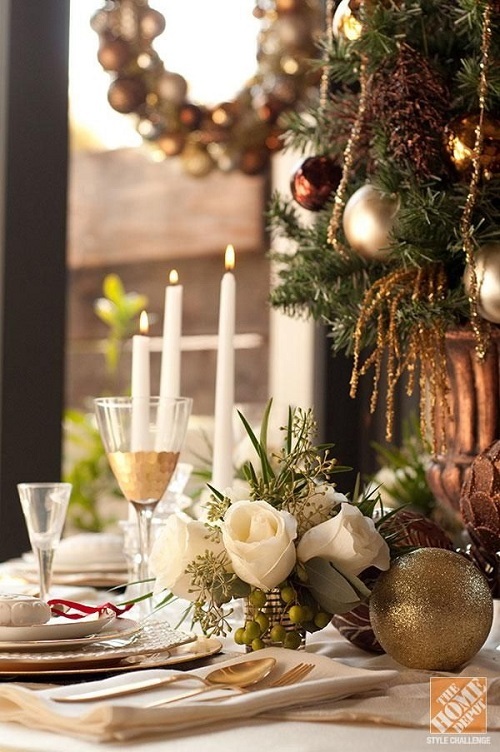 This is a simple and beautiful centerpiece which aligns perfectly withe the theme of Christmas. All white and gorgeous! 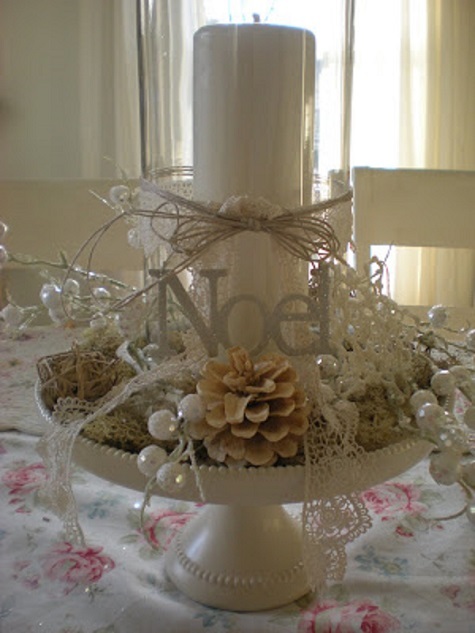 This centerpiece is an excellent choice for a white color themed Christmas party. 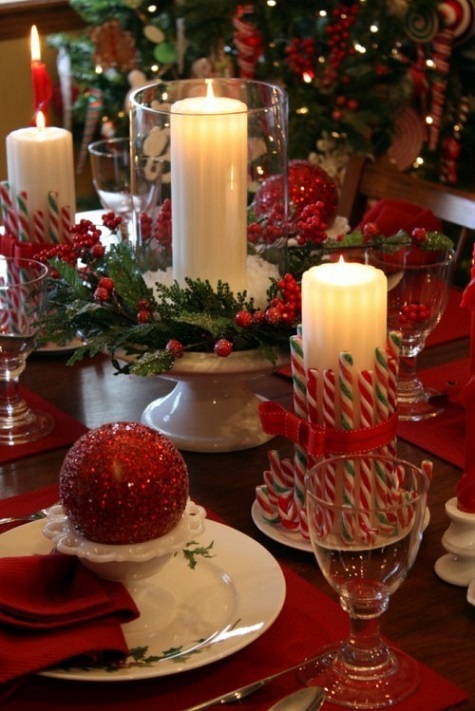 This Center piece setting is really good for a Christmas dinner party. Shimmering and pretty! 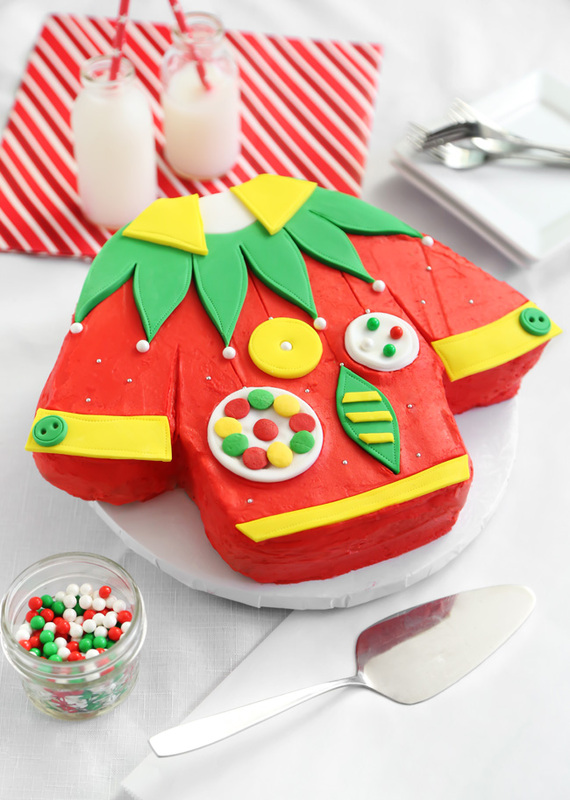 Isn’t this super creative? 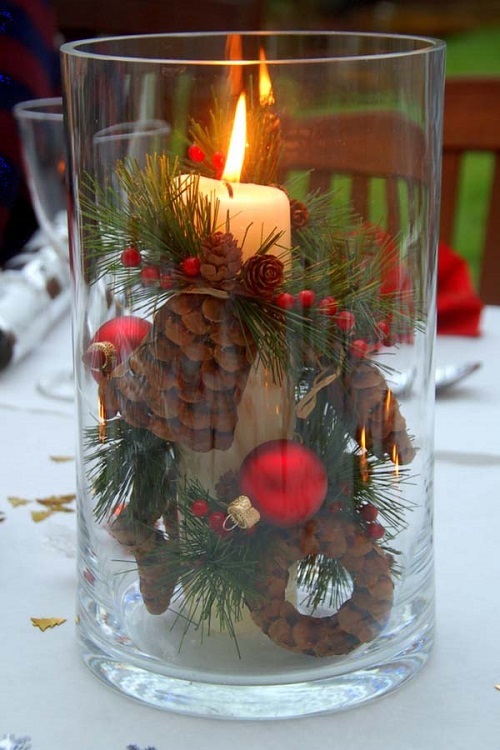 Candle blended with beautiful ornaments. Will look fabulous on the table. 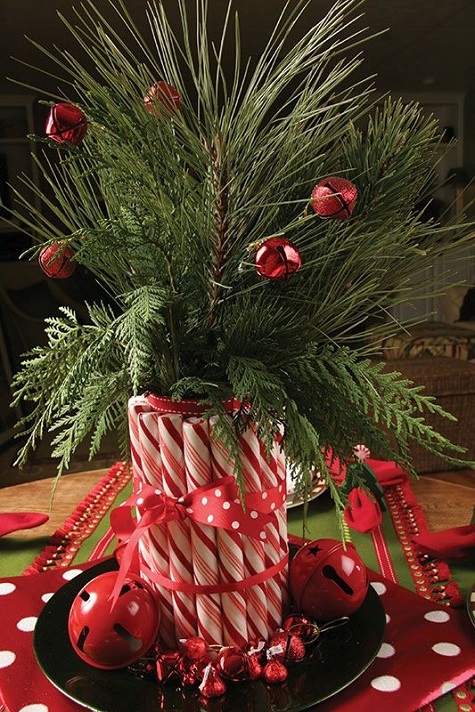 I was stunned by seeing this christmas center piece. Truly awesome! This is beyond words beautiful! 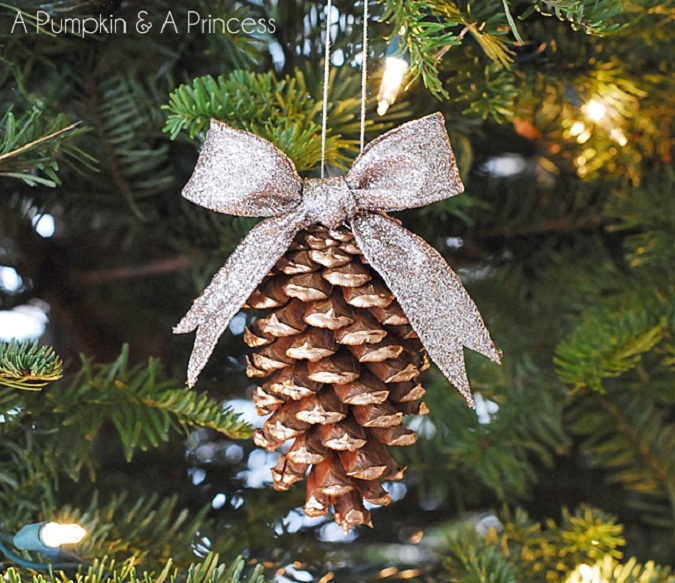 A perfect color choice for the Christmas season. 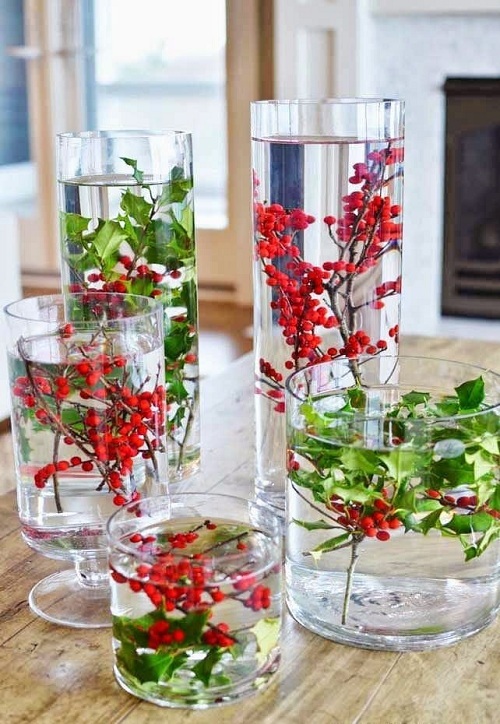 You just need a cylindrical glass, pine needles and candle and holly berries. 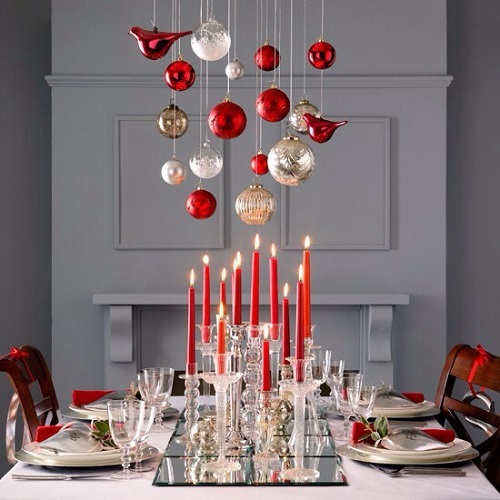 This centerpiece is your ideal choice when you wanna celebrate Christmas all Red in color. 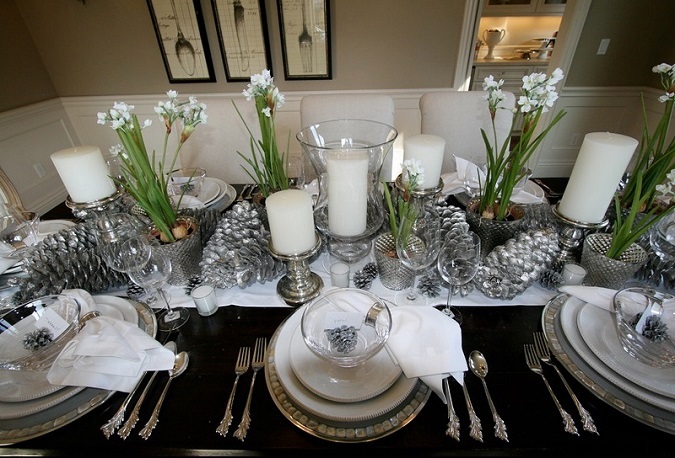 A subtle yet stunning centerpiece. 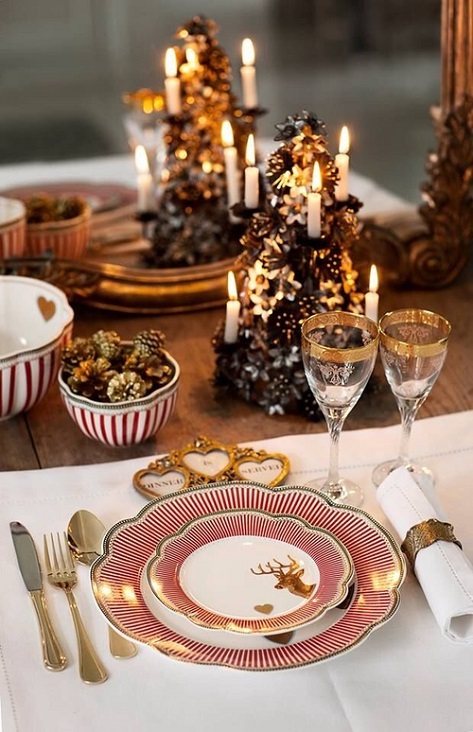 Christmas gift boxes arranged in the small crystal plates will arise curiosity in the guests. A real antique style centerpiece worth trying for. This is my personal favorite. This is so unreal! I’am totally in love with centerpiece. Lavish and exotic! 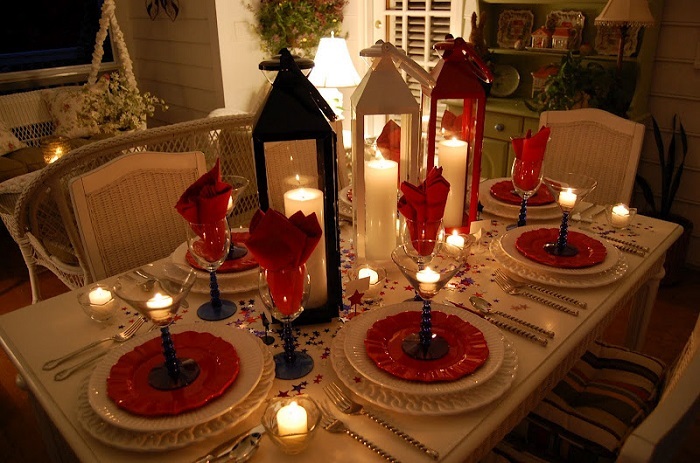 Light up your dinner table with this absolutely stunning idea. Wow! 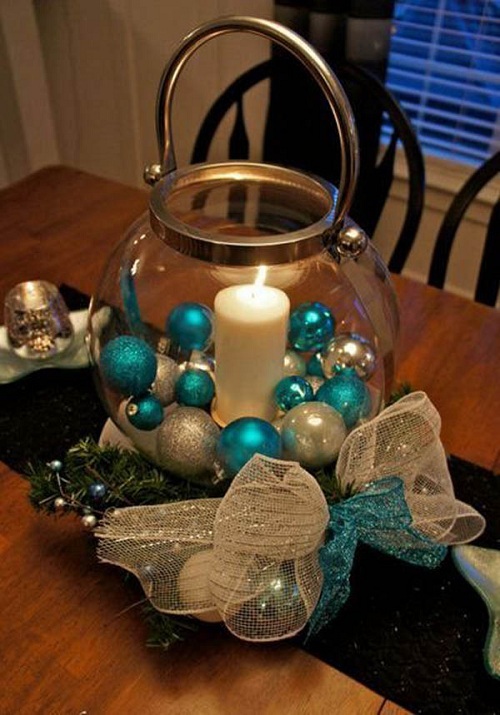 This centerpiece can be customized according to your choice. Any color of ribbon can be used. 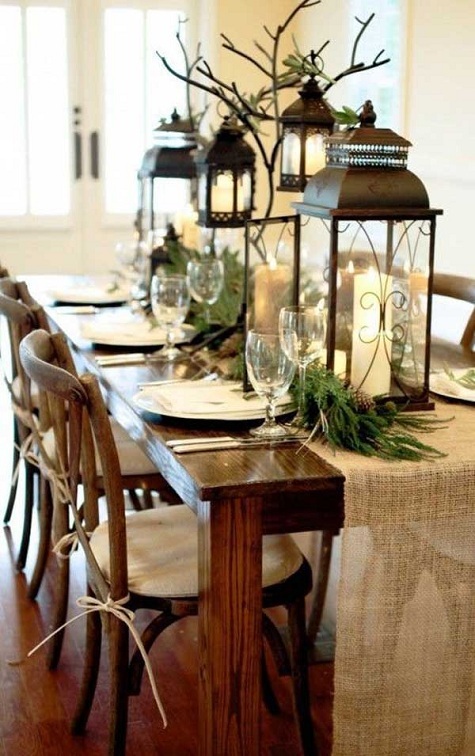 The Lantern Centerpiece idea is a unique idea and is quite simple to make. 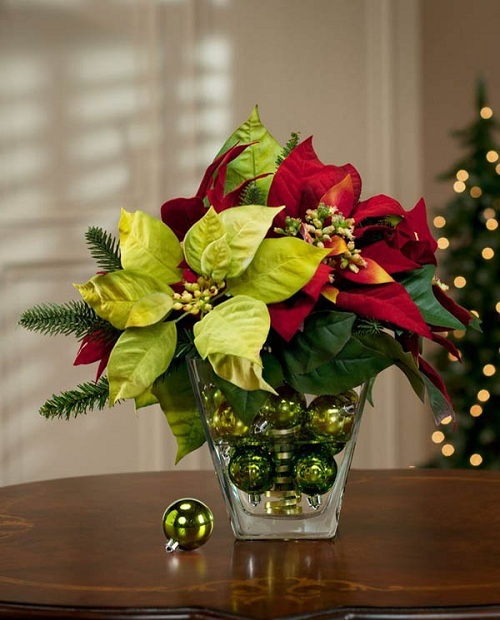 The blend of green and red Poinsettia flowers will give you an unique Christmas feel. It’s really simple to make. 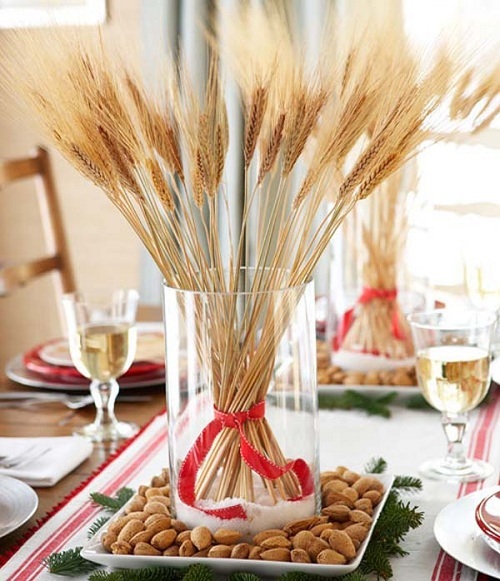 All you need is a bundle of wheat tied with a ribbon in a jar. Simple! 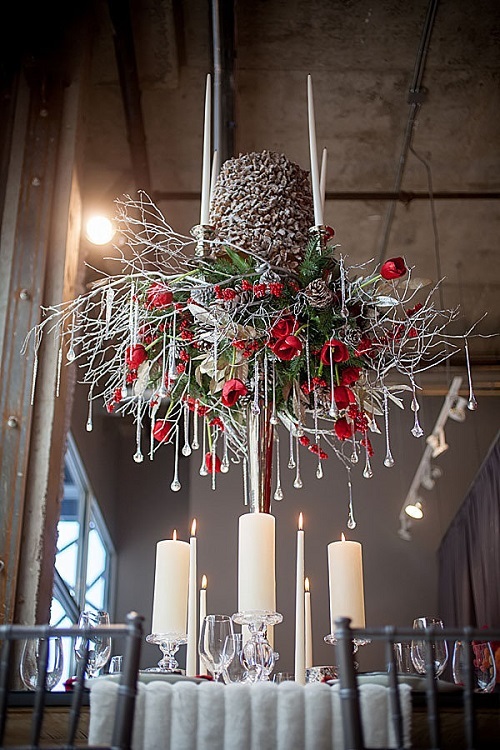 You can make this beautiful centerpiece with natural elements. 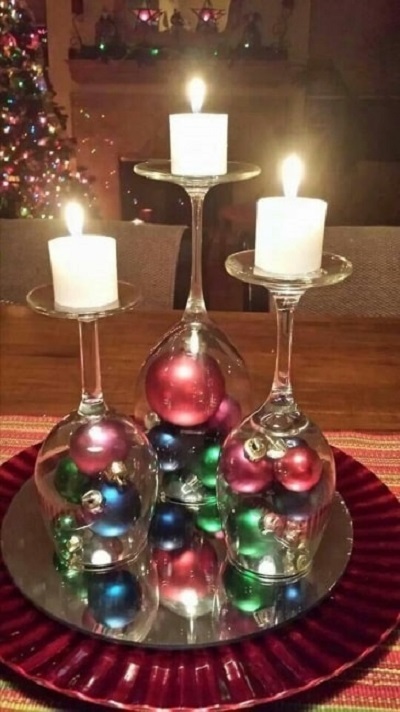 Can be used a last minute center piece idea.! So What do you think of the list? Do let us know of your suggestions and comments!